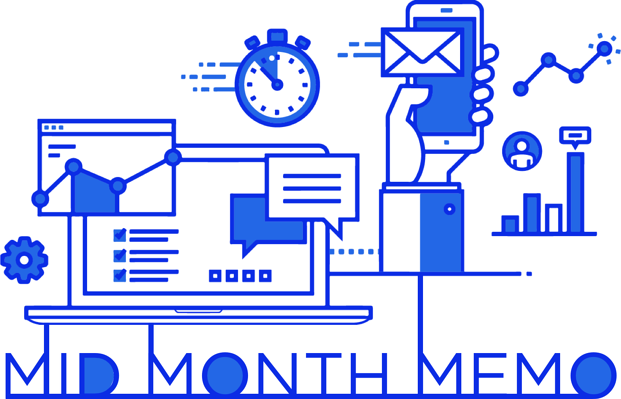 Welcome to the very first Mid Month Memo, a newsletter-style blog we’ll be publishing every second Wednesday of the month. In the Memo, you’ll find practical advice and best practices for using your uConnect platform, inspiration from other partner schools, news from the uConnect community, and more! Emerson College, located right in our very own Boston, does exemplary work with their uConnect platform. One of the many areas in which they excel is resource presentation. Emerson’s resource library is appealing, branded, consistent, and engaging. These are qualities vital to creating a positive user experience, and ensuring that students will find what they need and return for more. Want to emulate Emerson and give your resource library a makeover? Check out this article for tips and tricks. If you want a refresher on the three different kinds of resources (and how to edit each), read this. And while you're thinking about upping your resources game, why not try creating a special call-to-action for your most valued resource? 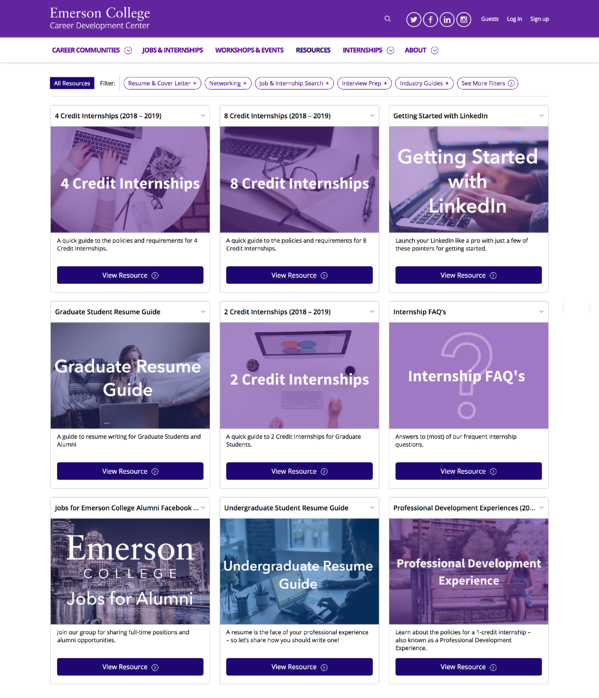 Peruse the rest of Emerson’s platform, CareerBuzz, here! We want to help you create a positive user experience for everyone who visits your uConnect site. Two of the most important ways to ensure that visitors will return again and again is to make your site appealing -- both to use and to look at -- and engaging. To create a positive user experience, your site must be visually competent. This means that the aesthetic quality of your site must work in partnership with its functionality. Each page needs to have the right balance of blank space and content. You have a plethora of great content to share, and you want these to be visible to users. But presenting too much at once is overwhelming for the user, and there’s a good chance they will give up before trying to wade through a mess of options in front of them. Go to your site and think about the ratio of blank space to content. Is it balanced, or are there instances when there is tons of text on the left, and nothing on the right? Or spaces overpopulated with videos, text, and widgets while others are left barren? 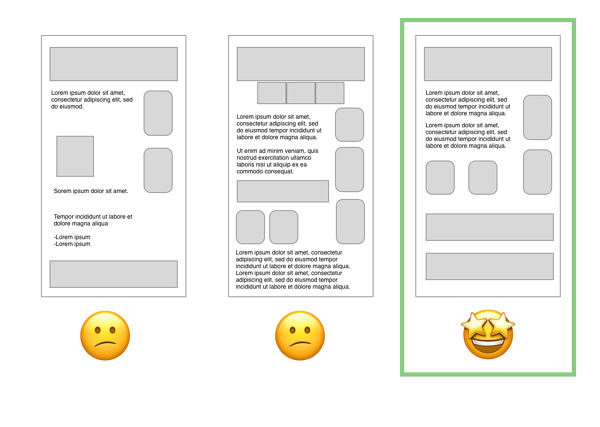 The pages on your platform scroll (duh), so you need to consider composition and user experience in regards to each “frame” (what is visible on the user’s screen at any one moment). Additionally, it’s important to consider these components as they affect the experience of using the page in its entirety. Consider the use of horizontal space and the use of vertical space. As a general rule, we encourage everyone to use more full-width, horizontal widgets. They’re bigger, harder to miss, and don’t require the user to break their vertical scrolling pathway to read. Additionally, because they take up the full-width of the page, they don’t compete with other content for a user’s attention. Watch out for pages that take too long to scroll through. Include too much vertical space, and your users won’t make it the bottom of the page. In this scenario, they’ll end up missing the valuable resources or information you’re offering at the bottom. Instead, try to use a little less space with a little more precision. Balance is key here too. A great page will have a few high quality, properly sized and spaced images, and concise, meaningful text. Think carefully about the placement of each on every page. As a general rule of thumb, it’s is best to keep the static text on your page concise and explanatory. Widgets and links can lead users to wordier places. 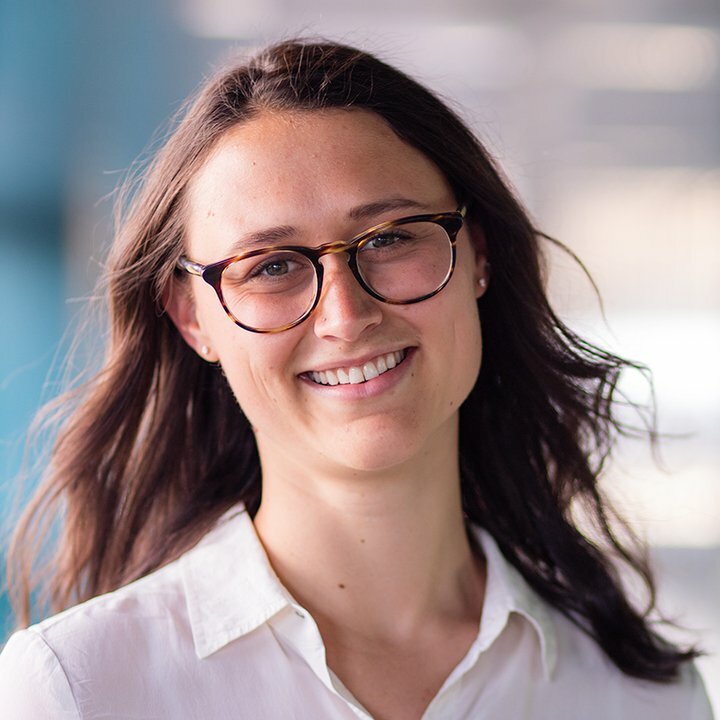 Welcome to the three newest members of the uConnect community! Great things are ahead. The following partner schools are having their uConnect birthdays (aka anniversary of platform launch, but much more fun). Want to give your resources a makeover? What happens in uConnect when I update a job or event in my CSM? What happens to my contact lists at the end of the school year? Our latest CoffeeBreak conversation with Susan Brennan, Assistant Dean of the Career Development Office at MIT Sloan School of Management.